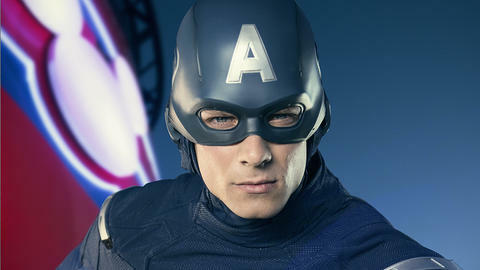 Get ready to meet Cap aboard the Disney Magic! 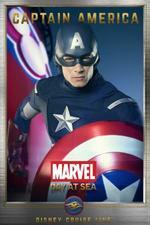 The premiere of Marvel Day at Sea is just around the corner! Marvel fans will want to join us as we count down the weeks to this epic celebration on select cruises aboard the Disney Magic. Over the next several weeks, we’re featuring some of the mighty Marvel Super Heroes you can meet onboard during the daylong event, giving you insights into who they are and how you can get some face time with them. Patriotic solider Steve Rogers took the super soldier serum to become the living symbol of freedom and liberty, Captain America. He is extremely intelligent and has superior agility, strength, speed and endurance. The patriotic hero with an indestructible shield embodies honor, integrity, courage and trustworthiness. You may see Captain America patrolling the ship or visiting Disney’s Oceaneer Club, teaching kids the true qualities of being a hero like honor, courage and teamwork. The star-spangled man with a plan also has a big role in the Marvel Day at Sea nighttime deck show, which will be the largest collection of Marvel Super Heroes and Super Villains ever assembled at sea.